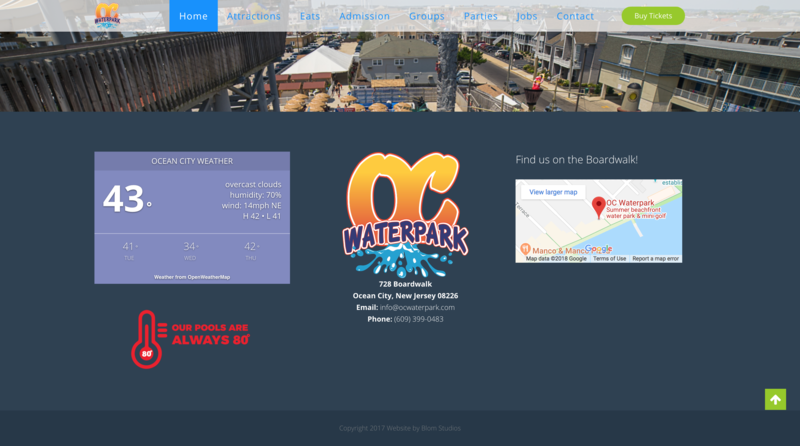 OC Waterpark is a waterpark based out of Ocean City, New Jersey. 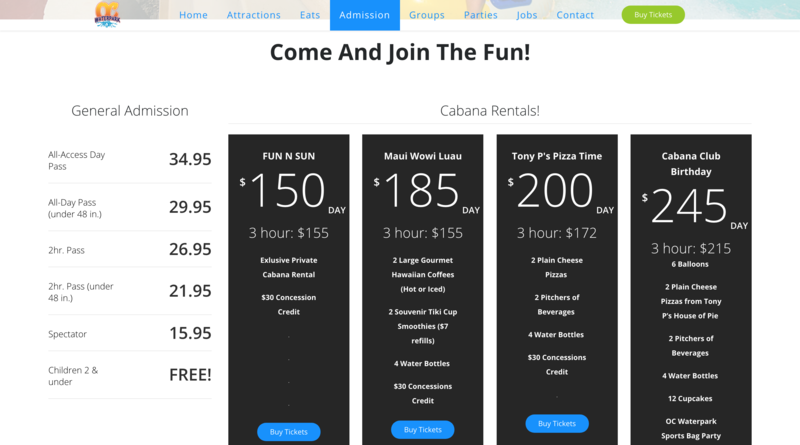 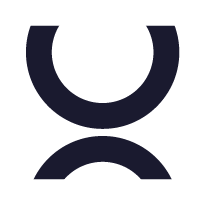 They hired us to build out a website giving an option to buy tickets online; and serve as a main source of information for the various services and attractions the park has to offer. 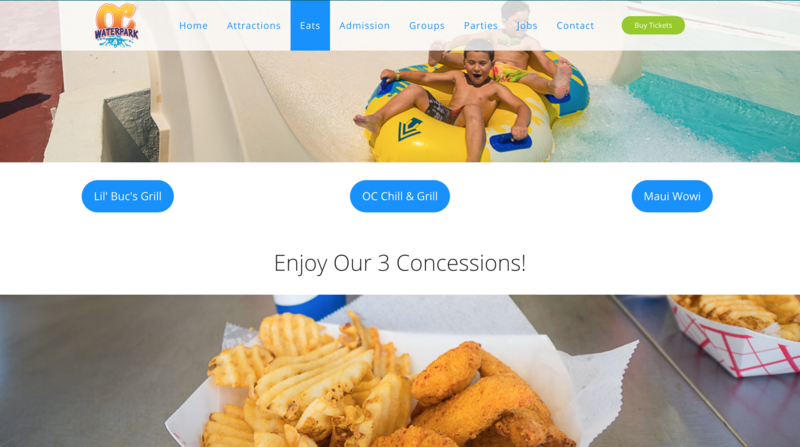 A key feature of this site is the mobile-friendly, easy-to-navigate, menu that links to all 3 of the in-park concession stands. 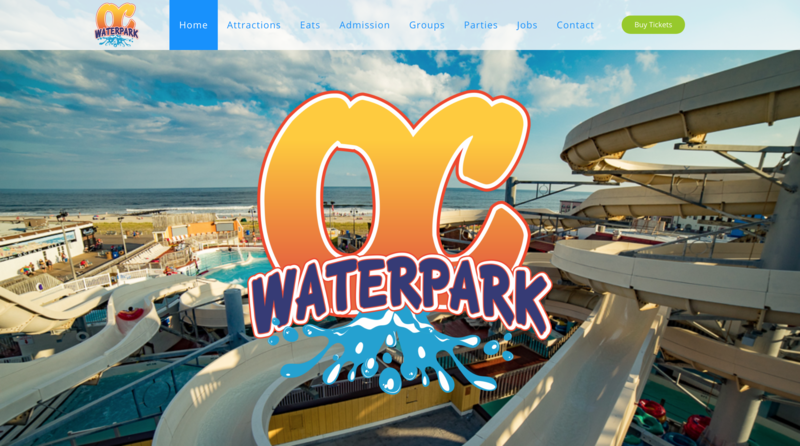 Being an amusement park, we strove to create something that captures the fun nature of the park incorporating the green, red, and blue color scheme with white backgrounds to keep things light and appealing.